Have you got the creative talent to help create a winning design to showcase Wynnum's seaside theme, welcoming visitors to Wynnum Central Station. Prize winner receives $500 cash and winning entry displayed on mural at Wynnum Central Train Station. Final artwork will also include logos of financial supporters, Wynnum Central and CCIQ Brisbane Bayside logos and winning design name and/or logo. All works and concepts must be the original, unaided work of the entrant and be created specifically for this competition. Artists can make as many submissions to the competition as they like. Don’t want to travel into the city on New Year’s Eve the Manly Harbour Chamber is hosting Fireworks one show at 9pm and one at midnight. Find a place early and enjoy welcoming in the new year at home. On Saturday 21 Wynnum was visited by Mr Bill Shorten the leader of the Federal opposition for a public forum and to support our local Labor candidate Lara Fraser Hardy. A broad range of questions were put to Mr Shorten on subjects ranging from school bullying, tax with a strong opposition to an increased GST, loss of Australian flagged shipping and mariners and the persecuted Muslim Rohingya people of Burma. The audience asked a series of questions with Mr Shorten answering them in detail demonstrating intimate knowledge of Labor policy and public concerns. - Council will not collect piles larger than two cubic metres (equal to a small box trailer load), doors must be removed from refrigerators and cupboards, do not leave sharp or dangerous objects, items must be able to be easily and safely lifted by two people and items must be secured if severe weather is expected. 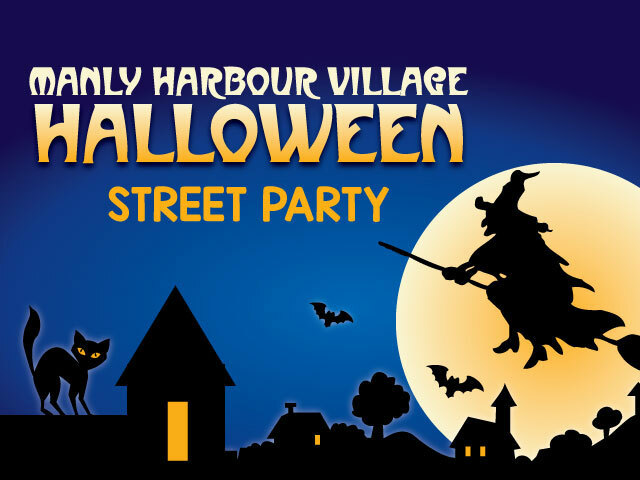 The Manly Harbour Village Halloween Street Party is a free, family friendly and alcohol free community event. This Saturday if you have a local business or are looking at starting one the Bayside Business Expo is for you. There are workshops and displays to find out more about local businesses, how to start your own business and tips for those in business. The Expo runs from 10am to 4pm October 17 in the Wynnum Municipal Hall, Cnr Cedar St & Bay Tce. Register your interest to attend, which costs a gold coin donation. From the moment I heard about the opportunity to cycle through Vietnam and Cambodia, whilst fundraising for Breast Cancer Network Australia, I was ‘in’. What an awesome adventure this would be. Little did I know when I signed up, that the universe had other plans for me. I have been battling this cancer beast for two and a half years now, trying to live as ‘normal’ a life as possible, working, travelling, exercising … living! With training for my big adventure well under way and feeling on top of the world, the cancer beast, more aggressive than ever, has struck a debilitating blow. I am ‘shattered’ that I am forced to withdraw from the adventure in Vietnam and Cambodia. But I refuse to go down without a fight. I set out to raise $10,000 for Breast Cancer Network Australia and that is exactly what I intend to do … with a little help from my dear friend Candice Butler, who has offered to cycle in my place. My quest to raise vital funds for Breast Cancer Network Australia continues. With your support, we can continue to ensure Australians affected by breast cancer receive the very best support, information, treatment and care. “It is good to have an end to journey toward, but it is the journey that matters in the end” Earnest Hemingway. 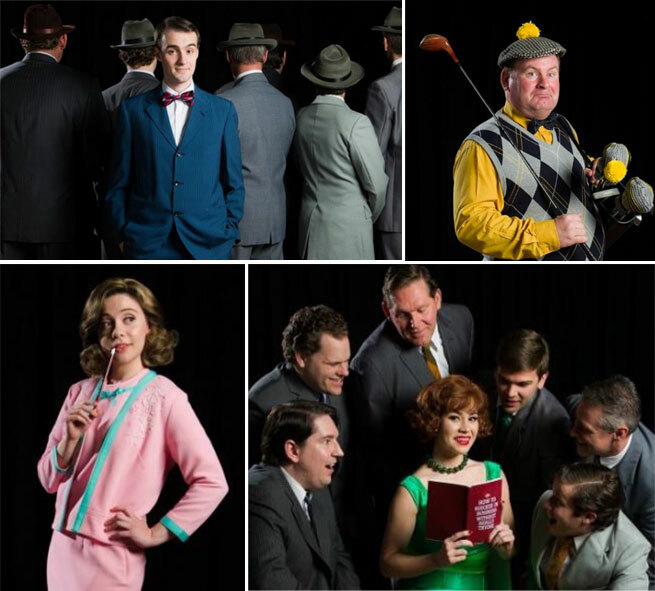 The witty and irreverent musical with the long name, HOW TO SUCCEED IN BUSINESS WITHOUT REALLY TRYING opens at the Iona Performing Arts Centre (IPAC) 26 September, 2015 for 8 performances only. HOW TO SUCCEED is sure to delight and entertain audiences. As one of the few musicals to win a Pulitzer Prize, 9 Tony Awards (nominated for 11 more) and several revivals, the show’s producers, Savoyards Musical Theatre Company, said they were thrilled to be bringing this community based production to Brisbane this September. “HOW TO SUCCEED is comically brilliant, classic musical comedy telling the story of how one young man, Pierrepont Finch, uses a little book titled HOW TO SUCCEED IN BUSINESS WITHOUT REALLY TRYING to work his way up from window washer in a giant company to CEO – all in the space of two weeks. Along the way he meets and falls in love with Rosemary, sidesteps the boss’ nephew Bud Frump and avoids a dangerous entanglement with the boss’ girlfriend, Hedy LaRue. All seems to go well until his one ‘big idea’ goes terribly wrong and he faces disaster. Tickets on sale from Wednesday, 19 August at www.savoyards.com.au or by phoning 3893 4321. Manly Harbour Village, QLD: On Sunday 9th August, between 9am and 3pm, the Manly Creative Markets at Little Bayside Park will play host to the Annual Bands in the Park Event. A community event that will be showcasing local school bands from Manly, Manly West, Tingalpa, Wynnum, Wondall and Wynnum West State School Concert bands. Manly Harbour Village and the Manly Creative Markets are excited to be a part of this wonderful musical initiative and invite anyone with a love of music to come on down and enjoy music, markets, fresh food and a great free family day out!